High on durability yet low on weight, Pinemeadow Golf's Courier Stand Bag has all the features to handle full days on the course in any type of weather as well as versatile storage options that keep your gear organzied and accessible. High on durability yet low on weight, Pinemeadow Golf &apos;s Courier Stand Bag has all the features to handle full days on the course in any type of weather as well as versatile storage options that keep your gear organzied and accessible. Five-way micro mesh top with full-length club dividers for optimal protection when inserting and drawing clubs. 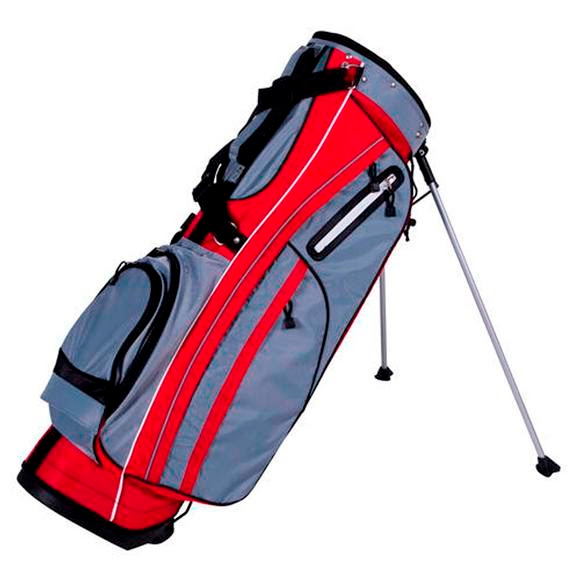 Full length clothing pocket, quick access protective rain cover for clubs and umbrella loop. Velour-lined valuables pocket and six other pockets for manageable storage. Insulated beverage pocket to keep your favorite beverages frosty.